Welcome to the adult partnership program Serious Coin! Serious Coin is the serious adult partnership program. and we're sure you will make good money with us. Serious Coin has been online since the beginning of 2003, but we have huge experience in adult industry since late 90s. 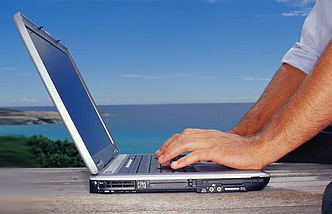 The outstanding sites in many niches, the most popular among webmasters. We even create new niches in cooperation with our affiliates! Serious Coin has its own content studio. It means only exclusive content, frequent updates of members' areas. We have unique Free Hosted Galleries links generator. You may get email notifications in the format that you need each time we release the new galleries. You will get the links to our hosted galleries in the most convenient form. We guarantee! You will be able to use our morphing RSS feeds feature with your blogs. We work with 3rd party billings - you may get payouts directly from them! For CCbill you may merge new account under existing one to get your money in 1 check! Besides other payment options, we pay by Paxum! We have powerful and detailed in-house statistics for your traffic and money. You also get access to independent 3rd party billing stats. You may get Free Hosting to promote our sites! You'll get full e-mail support, online ICQ support. Now you know all the features, that would help you to coin big money with us! Register Now and Start to generate tons of bucks!